3M Company operates as a diversified technology company worldwide. The company operates in five segments: Health Care, Industrial, Safety & Graphics, Consumer, Electronics & Energy. This dividend king has paid dividends since 1916 and has increased them for 56 years in a row. The company’s latest dividend increase was announced in December 2013 when the Board of Directors approved a 34.60% increase in the quarterly annual dividend to 85.50 cents /share. The company’s peer group includes General Electric (GE), Carlisle Companies (CSL), and Raven Industries (RAVN). The company has managed to deliver a 9.70% average increase in annual EPS over the past decade. 3M Company is expected to earn $6.72 per share in 2013 and $7.46 per share in 2014. 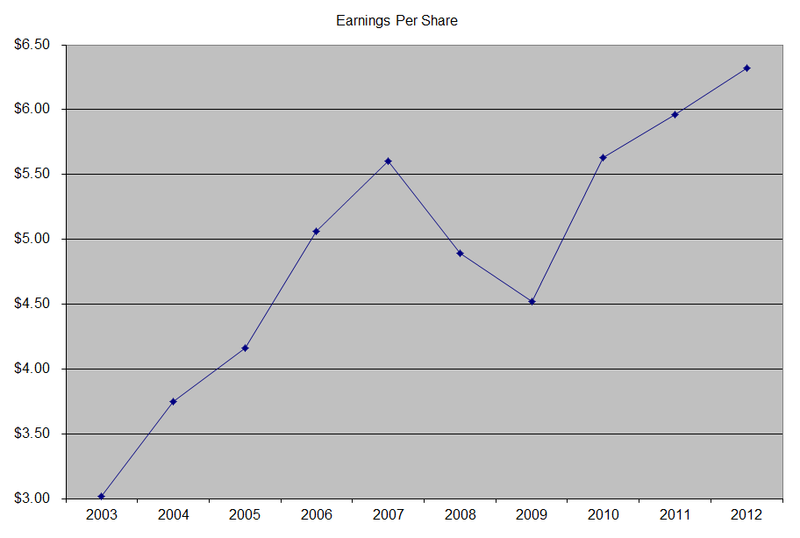 In comparison, the company earned $6.32/share in 2012. In addition, between 2003 and 2013, the number of shares decreased from 795 million to 692 million. 3M expects to spend somewhere in the range of $17 billion to $22 billion on share repurchases through 2017. The strength of 3M’s business model is largely driven by three key strategic levers: active portfolio management, investing in innovation, and business transformation. Management believes that these levers, combined with more aggressive capital deployment, will drive enhanced value creation. The company’s financial objectives through 2017 include 9 – 11% growth in earnings per share, fueled by 4 – 6% annual revenue growth. In addition, 3M expects to make 5 – 10 billion in acquisitions over the next 3- 4 years. The company generates 35% of revenues from emerging markets, which could increase to 40 – 45% by 2017, driven by strong growth in developing economies of the world. In fact, emerging market revenues are expected to increase by 8 – 12% over the next four years, versus a more modest 2 – 4% growth for developed markets. The company spends over 5% of revenues on R&D, and has been able to discover innovative products to bolster its bottom line. 3M expects to increase R&D expense to 6% of revenues by 2017. 3M keeps careful track of new product development, using a measure called the New Product Vitality Index (NPVI), which quantifies the percentage of 3M’s sales from products that were introduced during the past five years. In 2013, the NPVI was 33%. The company is trying to increase this index to 37% by 2017. In addition, the company is investing $700- $800 million in a new globally integrated ERP IT system, the implementation of which should be completed by 2017. The system is estimated to result in annual operational efficiencies of $500 million/year, plus an improved working capital management of an equal amount. 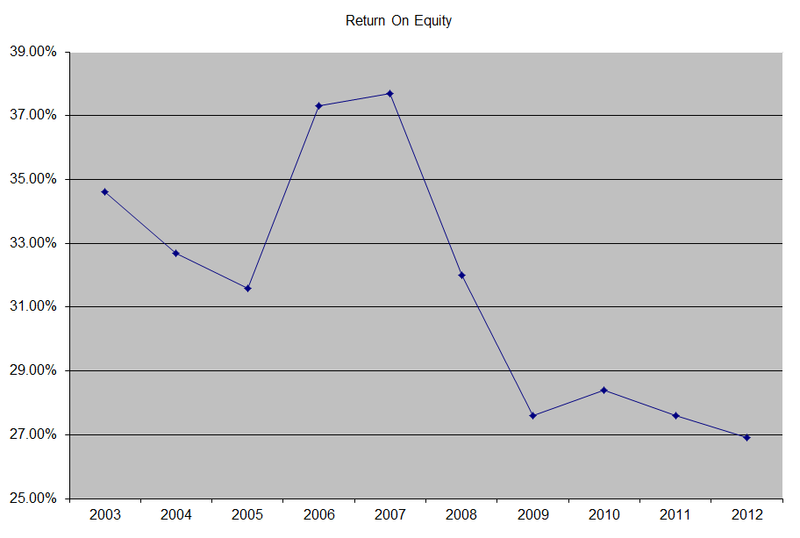 3M has maintained a high level of return on equity over the past decade. However, the indicator has decreased slightly from 34.60% in 2003 to 27% in 2012. I generally want to see at least a stable return on equity over time. I use this indicator to assess whether management is able to put extra capital to work at sufficient returns. 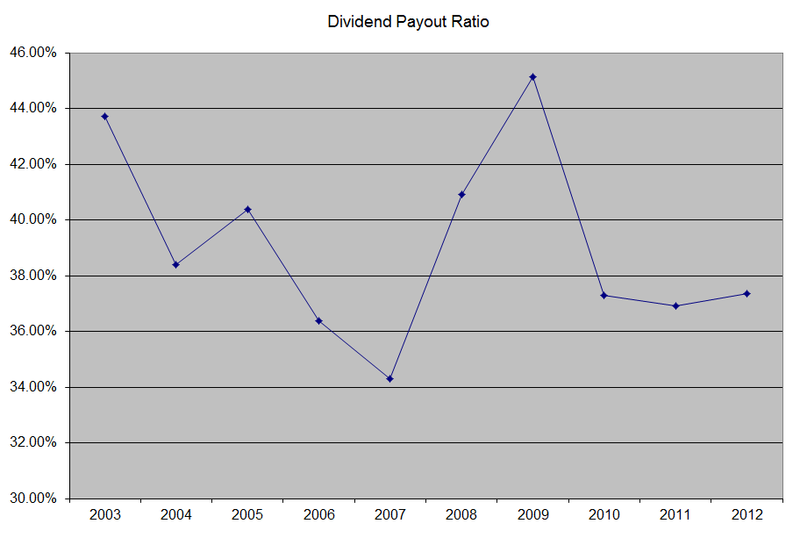 The annual dividend payment has increased by 6.80% per year over the past decade, which is lower than the growth in EPS. This was driven by the slow growth in dividends per share between 2007 and 2010, which was in the range of 2 – 4% per annum. In hindsight, it looks that dividend growth rates fluctuate over time, and one should not be scared away from temporary slowdown in income growth. 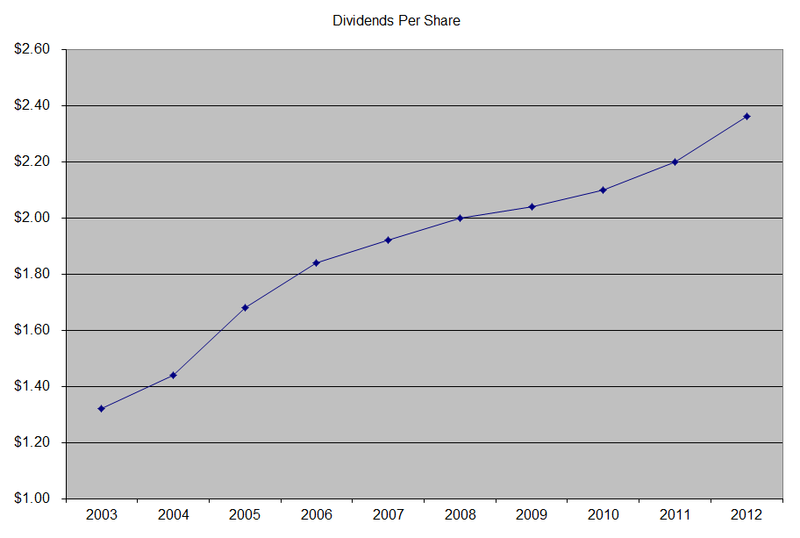 A 7% growth in distributions translates into the dividend payment doubling every ten years on average. Future dividend growth would have to track growth in earnings per share, and would likely be in the high-single digits. Currently 3M is attractively valued at 19.10 times estimated 2013 earnings, yields 2.60% and has a sustainable distribution. I like the story for 3M, but would definitely appreciate it better if I can add to my position at lower prices from here.